After conquering eco-friendly sushi, Bamboo tackles the traditional Japanese grill. 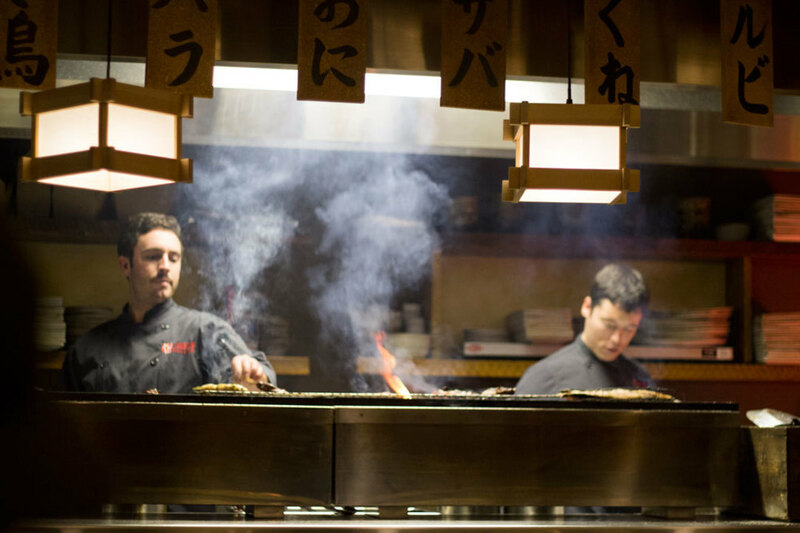 Poker-faced cooks vigorously fan the flames on their Robata grill, a Japanese import that uses traditional oak charcoal. 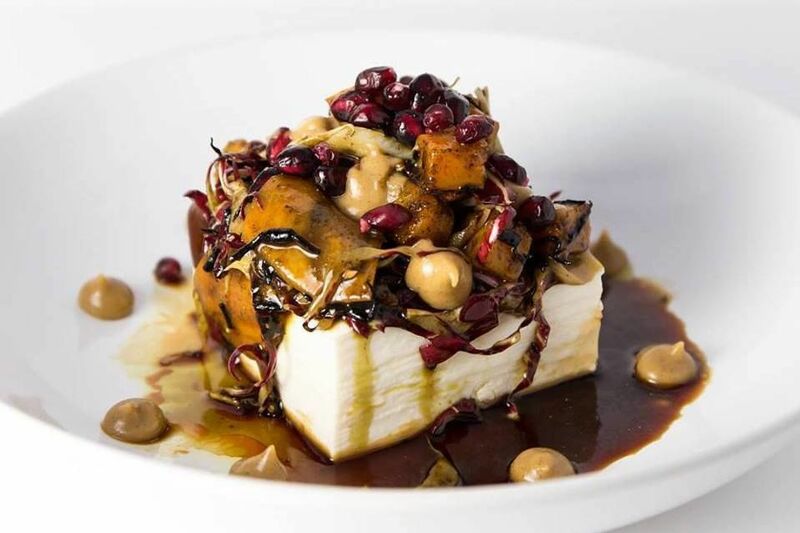 Skewers of ground chicken and duck liver meatball, tiger prawns, and king trumpet mushrooms line the grate, blackening over the superheated wood smoke. 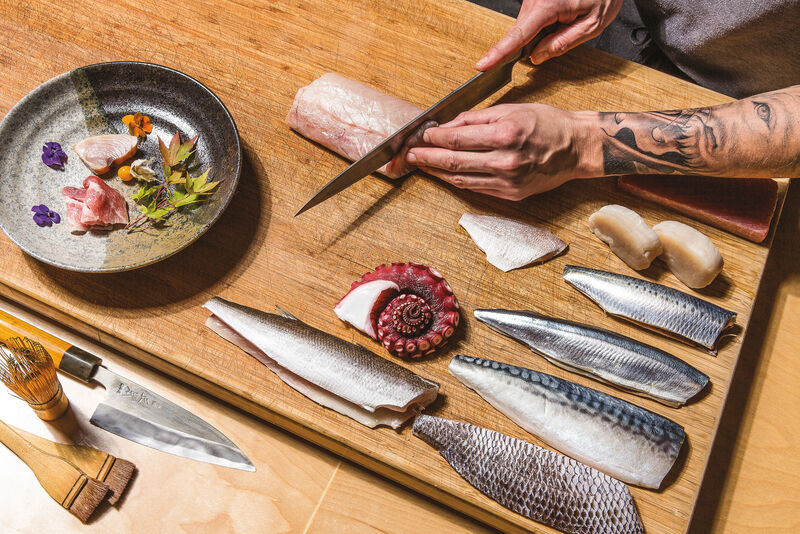 This is the heart and soul of Bamboo Izakaya, a promising new grill and drinking den—and sister restaurant to Portland’s successful, sustainable sushi franchise. 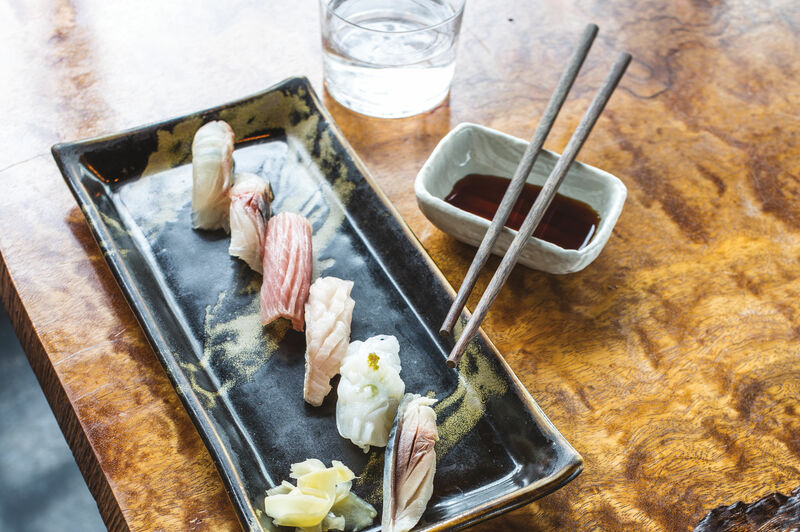 Salted mackerel for two, butterflied open and grilled until crisp and buttery alongside a ponzu dipping sauce. Bamboo is an immersive experience: dozens of lanterns, bamboo lean-tos, and Japanese-style tin shed awnings accent the NE Alberta Street restaurant’s 64-seat dining room. Follow Izakaya tradition and order a drink from the lengthy list of sake, shochu (a distilled spirit, most akin to vodka), and Japanese whiskey. A 13-piece cocktail menu rounds it out, with Japanese spirit creations (strangest of all, a murky Kimchee Bloody Maria with tequila, jalapeño sake, roasted red pepper, Asahi ale, and a Togarashi-spiced rim). 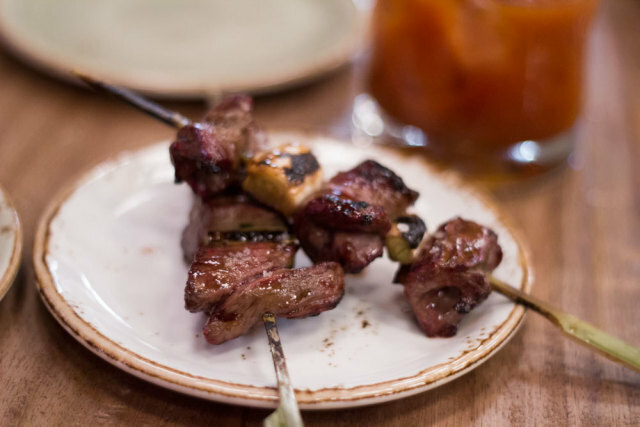 It’s hard to go wrong with Bamboo’s formula: cruelty and hormone-free meats, grilled over pure oak charcoal (long lasting, without noxious fumes) basted in soy sauce and scallion. Spears of skirt steak come smoky and rare, while bright green shishito peppers are blistered and sprinkled with yuzu salt. 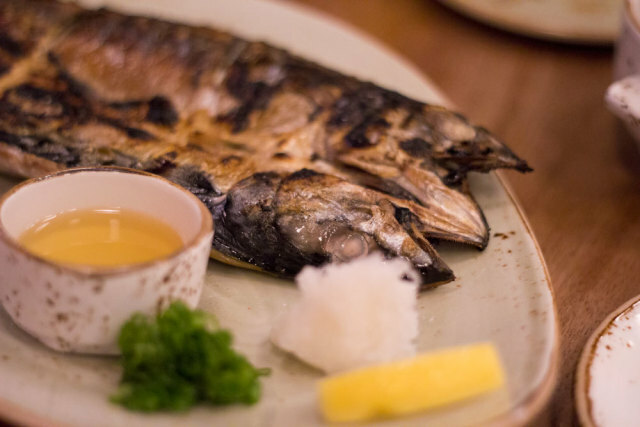 A highlight on the Robata menu: salted mackerel for two, butterflied open and grilled until crisp and buttery alongside a ponzu dipping sauce. 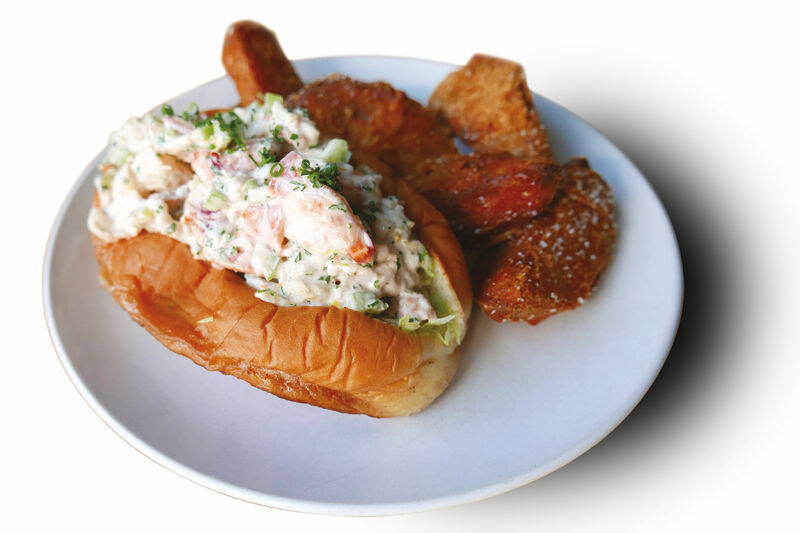 Izakaya is nothing new for Portland. We’ve got Japanese pubs like Biwa, Syun, and Shigezo, to name a few. But Bamboo differentiates itself as “A Real Izakaya Experience”—a tricky claim for an izakaya, which, unlike sushi or ramen, doesn’t prescribe to many hard-and-fast rules. Besides, the coconut-kaffir braised pork cheeks, a meltingly tender coconut-cream stew most certainly worth ordering, is as far from the Rising Sun playbook as you can get. Then there is the gimmick factor. Bamboo’s more Americanized brunch menu features a “bacon flight”—a sampling of five varieties, from Oregon’s own Carlton to lauded Nueske’s bacon in Wisconsin. The dessert menu includes something called uni crème brulee: a ramekin of thin, runny custard without a hint of the promised ocean funk of sea urchin gonad (maybe that’s a good thing?). The skewers are good enough to stand without these cutesy, clunky additions. But Bamboo’s awkward fusions and boasts to authenticity are only small hiccups in an otherwise tasty operation. They’ve nailed the digs, nerded out over the right equipment, and kept their promise of ethical meat and fish. We’ll raise a skewer to that.